Sen. Bernie Sanders, I-Vermont, speaks on a question during a town hall meeting with Jackson Mayor Chokwe Antar Lumumba in Jackson, Mississippi, on April 4, 2018. 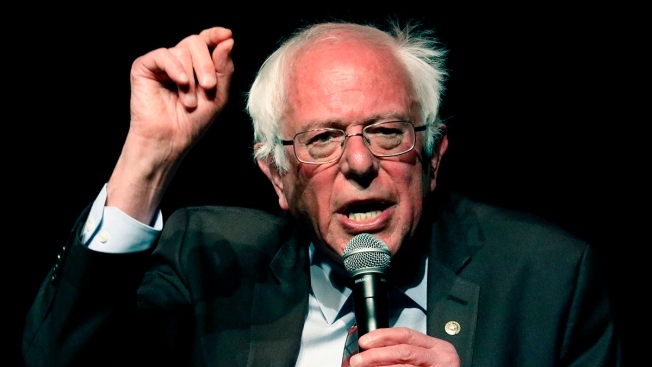 Even before he announces whether he's a 2020 presidential candidate, Sen. Bernie Sanders is working to avoid the drubbing that South Carolina's African-American voters handed him in 2016. Praising Sanders for offering "a template instead of just an inspirational speech," Duffy said that trailblazing candidacies from Harris and potentially Booker were compelling but that young voters are "keen enough to "go beyond identity" and ask 2020 candidates, "What do you have to offer?"